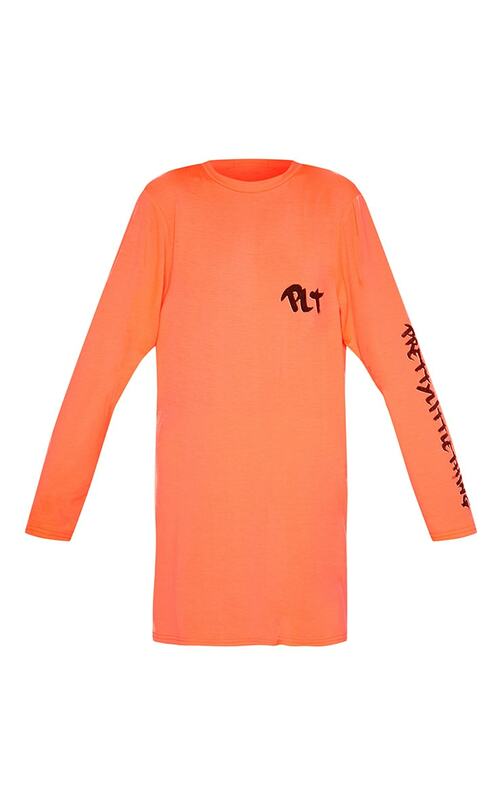 Girl get noticed in this neon orange top. 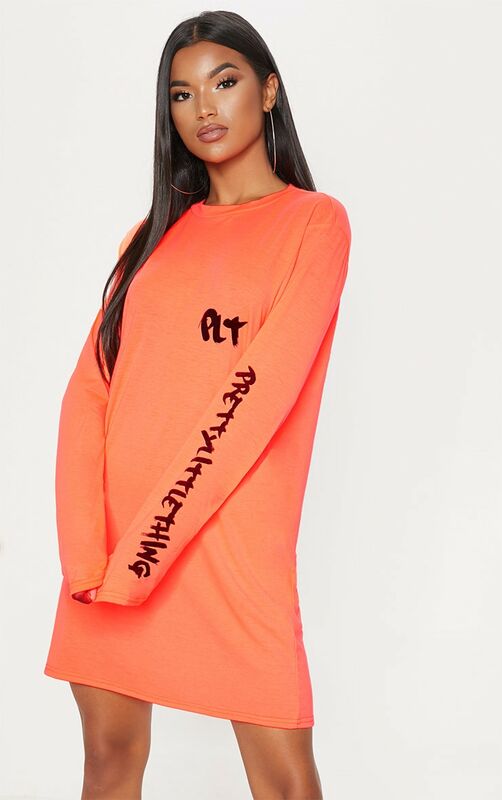 Featuring a 'PRETTYLITTLETHING' slogan on the front and sleeves, t shirt loose fit and neon orange colour, what's not to love? Team with black kicks and add a bum bag for a killer look.